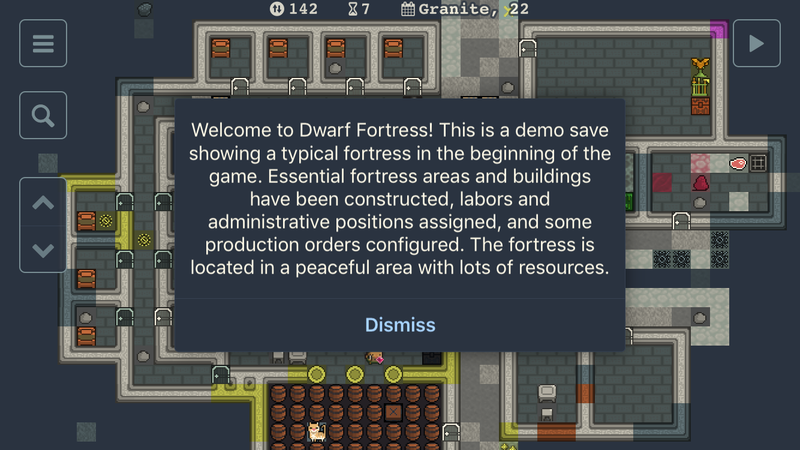 New server subscription players will now find a save in demo folder showing a typical small fortress in early game. It has essential areas and buildings constructed, labours and administrators assigned, and some production orders configured. Also, points added for many important locations around the fortress with some comments. This is intended to show what Dwarf Fortress is like to new players. Still, studying a proper tutorial will probably be required to play though. The same can also be downloaded from here.